Despite denials from the highest levels, including GM CEO Fritz Henderson, newly-re-tasked GM marketing man Bob Lutz told Automobile the Pontiac G8 would find its way into Chevrolet showrooms as the Caprice. A RWD Chevy Caprice? Is the Carpocalypse over? No, unfortunately, it's not. But what it does mean is Lutz will have a greater say in product planning than sources had initially claimed. 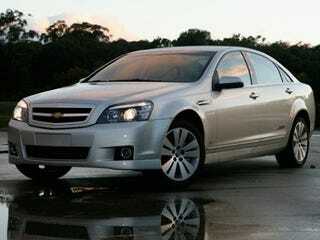 "The last time we looked at [the G8], we decided that we would continue to import it as a Chevrolet," Lutz said. "It is kind of too good to waste." CEO Fritz Henderson has repeatedly denied that the G8 would survive as part of another brand, saying he's "not a fan of rebadging." But Lutz, citing export agreements with Australia and the fact that the Holden Commodore is already sold in many countries as a Chevrolet, assured Automobile GM would not let the car die. Find out more over at Automobile Magazine.